The story of Mosab Hassan Yousef has been making headlines all over the world in recent weeks. He was literally born into the deadly terrorist group Hamas. His father is Sheikh Hassan Yousef – a founding member of Hamas and one of its most prominent leaders. Mosab was raised to hate Israel and everything that it stands for. He was groomed to become his father’s successor from an early age. 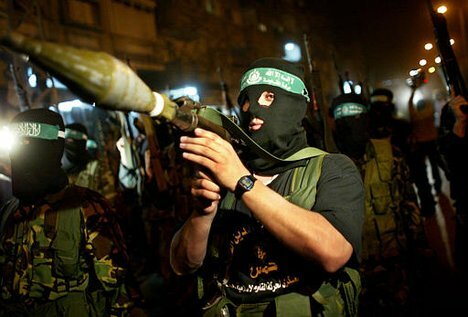 He was deeply trusted by the Hamas hierarchy and participated in the Intifada. He was even held captive deep inside Israel’s most feared prison facility. But something happened. God got a hold of Mosab Hassan Yousef. Mosab became one of the most important spies that Israel ever had. For years he risked his life by spying for the Israelis while pretending to be on the side of the Palestinians. If he had been caught he would have surely been killed. But that is only part of his extraordinary story. You see, Mosab eventually found the true meaning and purpose that he had been searching for all of his life. So how does a son of one of the key leaders of one of the most radical Islamic terror groups of all time become a Christian? Meanwhile, check out the recent video interview with Mosab posted below…. Why in the world would this young man leave peaceful Islam. He must have been brainwashed. Click on the video at the following link and watch Mohommad’s followers of “peaceful” islam carrying out his instructions – direct from the Quran.